yeah but what if I can't use rum? I can't use rum either. You can always add more vanilla or maybe some almond essence? As long as you substitute the 2tbs liquid with a flavor that goes well with coffee and chocolate! What if you don't have a kitchen torch? this is a stupid answer. none of these will work. WHERES ALL THE RUM GONE? Does this have to be eaten straight away or can you prepare it early? I think it may be best to prep the spoons a few days ahead, then the mousse the night before. It sounds like a great dessert aimed to please, but also tough to accomplish. Remember, the key to mousse and merengues are their texture, so don't rush, and be sure to have friends over to help you enjoy these treats. If you're looking for this same great flavor but don't want to waste any indredients, I'd recommend the original (I'm a sucker for s'mores, and I don't mind the mess, after all you might end up messy with the merengue and mousse). Anyways, happy flavor hunting! can it be made without rum or espresso? This looks absolutely amazing! Thanks for sharing the recipe! Confused by the picture against how this post is written. Are you meant to remove the chocolate mousse from the moulds, invert and THEN decorate it (if so, how in the hell do you do that?)... 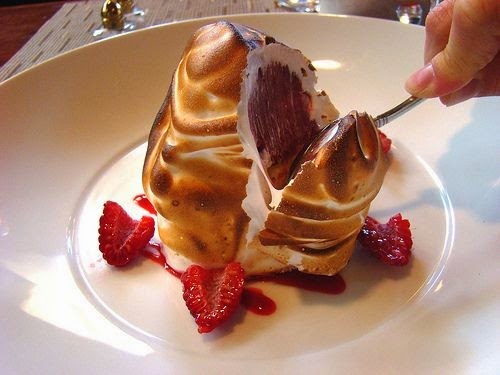 or do you pipe the meringue directly onto the top of the moulds and serve?